When we co-construct criteria with students (or adults), we help them understand the learning destination, access prior knowledge, understand and use the language of assessment, and scaffold future learning. Today I am with 800 educators in Minneapolis, MN and I am sharing an account from a high school History teacher. 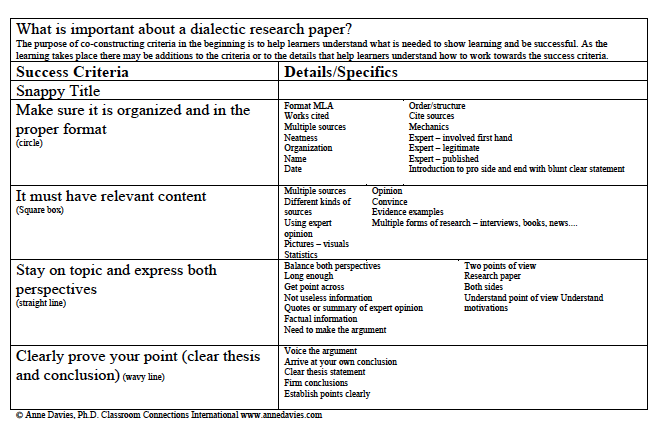 I co-constructed criteria with his students around a dialectic essay. Other teachers were present to observe this demonstration. Sometimes educators struggle as they try to communicate with parents. They want the student voice to be present but that can take way too much time. 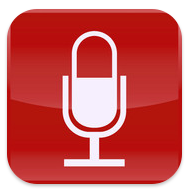 Have you considered an app like Quick Voice Pro? It is designed to record a brief message and then email it to others. It is simple and easy to use. Three quick ideas to get you started…. 1. Do you want to give students something to talk about when they get home. What about having students, at some point in the day, choosing to record a highlight of their day – something they want to remember, a success they’ve had, a question they want their home team to ask them when they get home? The quick recording is then emailed directly to the recipient (with a copy to the teacher). 2. Why do newsletters at home on your personal time? What about a assigning a small group each week to summarize the day’s agenda along with a couple of highlights they will remember? Then it can be emailed to the class list of parents/guardians with a copy to the teacher. You and a group of students are having a focused discussion about where they are expected to make high-level connections. Once again you are keeping notes. And, along with those notes are the recorded voices of each participant. Now you have recorded evidence of the kinds of connections and contributions students are making during focused discussions from early in the term and from later in the term. You’re conferencing with a student. As you make notes, the student’s voice and your entire conversation is recorded. You’re doing a running record. You’ve printed the text on the Livescribe paper. As the student reads, you make the notes about corrections, substitutions and so on. While you do your note taking, the student’s reading is also recorded. When you check for understanding, the student’s responses are recorded. You have a complete record. One that is a product, an observation, and a recorded conversation. Powerful evidence. Consider a learning conversation with a student whom you have identified as needing additional support. You are collecting evidence to support your case. Imagine keeping your notes while you are interacting with the student, and then, later, when you meet with your school-based team to plan additional support, having them hear the actual interactions. Consider preparing for end-of-the year conferences. Students record the highlights of the past year. As they are sharing with you, you record and add in your thoughts regarding additional events worth celebrating. This becomes irrefutable evidence and a source of text for those final report cards. When meeting with colleagues, you can have an easy record of what was accomplished and what ‘take away tasks’ you committed to doing. I find myself taking my pen and notebook along to any appointments just so I have a record. It is so easy to use and the recordings are easy to retrieve. Paper comes in a variety of shapes and forms. You can also print your own. It is easy. You might want to have a look at the videos on their website so you can imagine how you could use it. Livescribe smart pens are easy to find in North America (and probably elsewhere). · Phonics: Some say phonics is the only basis of a good reading program while others say phonics is of no use at all. · Standards: Some say all students must achieve universal high standards while others say the standards depend entirely on the student. · Evaluating Student Work: Some would say when work is not handed in on time, deductions are given and, if necessary, a zero is assigned while others would say you should never deduct marks and you can never assign a zero. Yet, in the midst of these often-heated debates, there is a place for a measured, reasonable response. It is sometimes helpful to have an example that helps us better understand the situation. Some people say that in the ‘real world’ if things are late, there are consequences. That is indeed true. So let us take an example from educators’ ‘real world’ of employment. What if a teacher does not complete the report cards for his classes by the specified date? Is the first response to fire that teacher? No. Is the first response to deduct pay? No. What will happen? Likely, the principal will have a conversation with him to determine why the report cards are not yet completed and to plan for next steps. This might mean bringing in a substitute so that they can be completed during the next school day. It might mean that a district consultant is brought in to provide support and guidance, or it might even mean that the principal spends the next two evenings sitting alongside that teacher to ensure that they are done. The consequence for not doing report cards is doing report cards. If the first reaction – the default stance - to assignments not being handed in is to begin to deduct marks or grades, then very quickly students no longer see a reason to submit work on time or, perhaps, at all. Much has been written about the extraordinary weight one or two zeros assigned to a student’s work can have on the term or final grade. Recovering from the mathematical impact of a zero could require, in many situations, near perfect future scores. When we deduct marks or grades and when we assign zeros, the mark or grade that results no longer speaks to the quality of the work which is the point of marks or grades in relation to the curriculum expectations. We want students to be engaged. We want students to be learning. We want students to be successful. We also want teachers to use their informed professional judgment regarding achievement. What can be done? There are many facets to consider. Here are four ways teachers, schools, and systems are addressing this important issue. One: If students do not hand in work then evidence of learning is not available to the teacher. Without evidence of learning (or lack of learning), a teacher’s ability to make a professional judgment is seriously impaired. If there is not enough evidence of learning, a grade cannot be assigned. The next measured response is to use one of a variety of strategies to support students as they work to ensure that they provide enough evidence of learning. Two: At the end of the term, when report card grades are required, teachers need to be very careful they are not putting themselves at professional risk. Report cards are legal documents. They report what students have learned and achieved in relation to the learning outcomes and standards for the subject. If the records kept by the teacher show little or no evidence of learning in relation to those outcomes or standards, then the student grade must reflect that unknowing. Therefore, some schools and systems use NE, which means Not Enough Evidence and students have a certain length of time to submit the needed evidence or complete alternative tasks that do give teachers enough evidence. If evidence of learning does not become available, then a grade is not assigned for the course – there is no credit recorded. · Setting up a student contract to support the learning. · Referring students to additional supports such as a learning centre or tutorials. · Chunking major assignments into smaller pieces that can be submitted in stages. · Giving students a window of time (e.g., a week) within which the work must be submitted. · Providing an alternate assignment that, while still meeting the intended outcomes of the original assignment, better reflects the student’s interests and strengths. This list is illustrative and not exhaustive. Provincial policy statements across Canada, like Growing Success (Ontario, 2010) and Academic Responsibility, Honesty, and Promotion/Retention (Manitoba, 2010) offer additional strategies and processes. Four: These documents, and others, also indicate that, if the assignment is still not submitted after attempts have been made in these and other ways, deducting marks and/or assigning a zero may be necessary. To mitigate the impact of a zero, teachers might choose to give it less weight or decide not to use a zero score in the grade calculation. We agree that this is also a potential response. As you come to a collegial decision in regards to the assigning of zeroes and the deduction of marks, we remind you that the final grade decision or calculation must reflect the informed professional judgment of the teacher and accurately represent a student’s actual achievement. 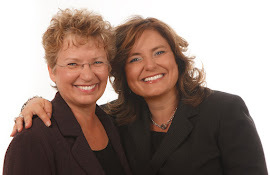 Note: This blog is an excerpt from an upcoming book titled, A Fresh Look at Grading and Reporting by Anne Davies and Sandra Herbst. Tom Schimmer (2012). Ten Things That Matter from Assessment to Grading. Pearson Canada: Toronto, Ontario.